Home » Blog » What Happens in a Wrongful Death Lawsuit? What Happens in a Wrongful Death Lawsuit? When people are injured in an accident, they often have a viable personal injury claim against the at-fault party for causing their injuries. Usually the injured person is the one who initiates the lawsuit and, thereafter, collects the damages if the lawsuit prevails. However, when accident victims die as a result of their injuries, the process for asserting their personal injury claim is a bit different. This is because the injured person has unfortunately passed away and no longer needs monetary compensation for himself or herself. However, that person’s surviving family members may need monetary compensation because of their loss. Here, we discuss what it means to assert a personal injury lawsuit on a decedent’s behalf in Florida. 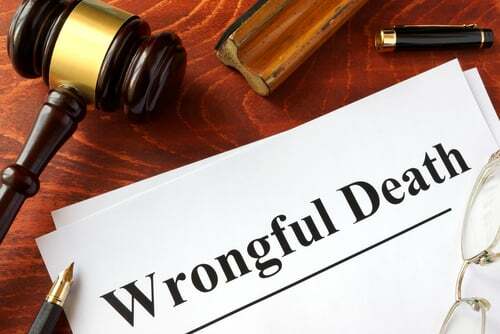 In Florida, a wrongful death lawsuit is one that is brought when a person’s death “is caused by the wrongful act, negligence, default, or breach of contract” of another person or entity. When this occurs, the decedent’s estate may initiate a wrongful death lawsuit against the at-fault party on behalf of the decedent’s beneficiaries. Accordingly, the purpose of the lawsuit is to make whole the decedent’s family members that have been harmed, financially or otherwise, by the incident that caused the death of their loved one. To prove each element successfully, the personal representative or the executor must present certain pieces of evidence to either the defendant, if the defendant is amenable to settling the claim, or to the trier of fact if the lawsuit proceeds to trial. To establish that the decedent died as a result of the defendant’s actions, the personal representative or executor may use the decedent’s death certificate as well as other items such as a police report indicating that the decedent died during or immediately after the defendant committed the at-issue action or testimony of an eye witness. To establish that the death was caused by the defendant, the personal representative or executor can also use testimony of an eye witness of the incident in question as well as testimony of an expert who can state that, in his or her expert opinion, the defendant deviated in some way from a standard of care owed to the decedent and this deviation caused the death. To establish that the beneficiaries of the decedent suffered economic or non-economic harm, the personal representative or executor can submit funeral bills, medical bills, paperwork establishing the decedent’s earning capacity, and testimony of the beneficiaries regarding their loss of companionship and household contributions because of the death. If the personal representative or executor of the decedent’s estate successfully proves the above elements, a judge or jury will award the estate damages to be divided among the named beneficiaries of the estate if a trial occurs or the defendant will hand over a monetary settlement award to the decedent’s estate to be distributed among the estate’s named beneficiaries. The damages or monetary settlement will include compensation for reimbursement of funeral expenses, estate administration expenses, medical expenses accrued before death, loss of earning capacity/financial contribution to the household, and loss of companionship and non-economic household contributions. Did a loved one die as a result of another person’s wrongful actions in Florida? Don’t let the funeral expenses, estate administration fees, and medical bills pile up while you wait for the liable party to do the right thing. Right now, you need an aggressive personal injury attorney on your side, fighting to get you the compensation you need, want, and deserve. The skilled attorneys at Lawlor, White & Murphey represent clients whose love ones have died because of another’s wrongful actions in Fort Lauderdale, Venice, Naples, Pompano Beach, and throughout Florida. Call (954) 525-2345 (South Florida) or (855) 347-5475 (Toll Free) or email us to schedule a free consultation about your case. We have an office conveniently located at 2211 Davie Boulevard, Fort Lauderdale, FL 33312, as well as offices in Naples, Venice, Port St. Lucie, Pembroke Pines, Weston, Coconut Creek, Pompano Beach, and Plantation. Florida Wrongful Death Claims: What Damages Can You Sue For?